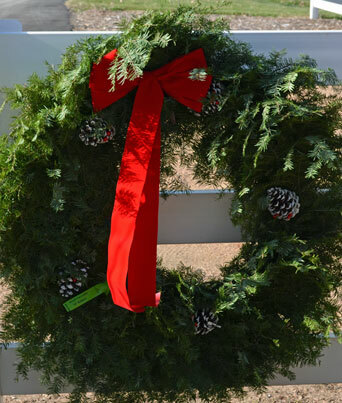 Our Christmas wreaths come decorated or undecorated. The sizes available are : 25″, 30″, 36″, and 48″. We also can special order (2 – 3 weeks) 60″ and 72″.